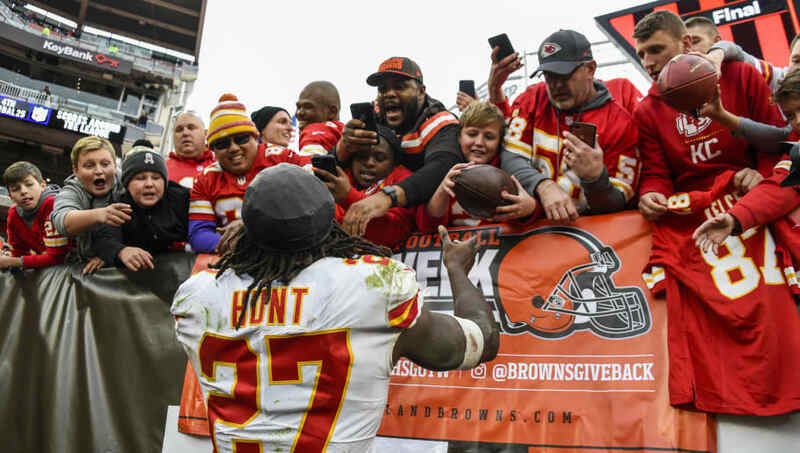 Former Kansas City Chiefs running back Kareem Hunt was in hot water a few months ago after a video surfaced of him assaulting a woman. He was released by the team, and it seemed like finding another home would take some time – possibly even a year. Well, that notion has been dismissed, as the Cleveland Browns made the bold leap today and signed the embattled running back. This is an interesting signing, considering the finish rookie running back Nick Chubb had to close out the season. He wound up with 996 rushing yards and eight touchdowns, in addition to 20 catches for 149 yards and two receiving touchdowns. Pro Football Focus even named Chubb as their top overall running back this season. For fantasy purposes, we'll have to wait and see how the legal process plays out with Hunt's case. He'll undoubtedly find himself with some type of suspension, possibly 6-8 games, that would absolutely destroy his fantasy value to start the season. It would also allow Chubb to establish himself as the lead back in Cleveland. RB: Nick Chubb, Kareem Hunt, Duke Johnson, Jr. If circumstances allow for it, though, Hunt could be a value add off the waiver wire later on in the season. In that event, Duke Johnson would likely be the one sitting on the pine. He only had 201 yards on the ground last year. His 47 catches would likely get taken up by Hunt, a great pass-catcher in his own right and more explosive in the open field, once Hunt returns from suspension. Those answers, among many others, will be coming in these next few months.